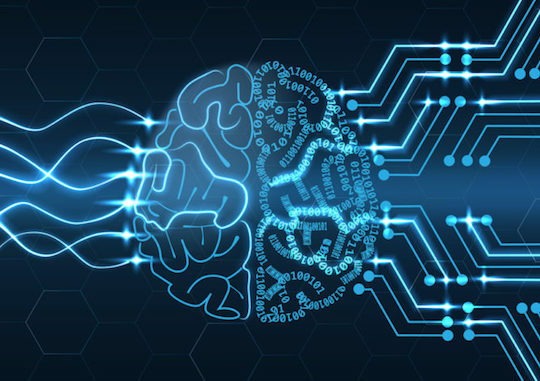 Machine learning refers to an artificial intelligence application that allows systems or computers to automatically learn from experience as data is fed to mimic human and animal behavior. You do not have to program everything into the system. The computer will recognize patterns and adjust by making better decisions without the interference of human intervention. This is the reason systems are able to distinguish differences in items, processes, and even people. For example, it can point out a given item of your choice amongst other items. For words that have more than one meaning, the system should be able to apply relevance from a statement and draw the correct meaning. In the banking industry, ATM machines are taking some roles, which traditionally tellers had to perform such as money deposits. There are two types of techniques for machine learning, supervised learning and unsupervised learning. This learning algorithm has the ability to apply what has been learnt in the past and applying it as new data. This will help to predict future events with the help of labeled examples. The more the examples, the better the results. It also has the ability to compare its output against the intended output. This will help the computer to make comparison and identify errors. Once it identifies the mistakes, it will adjust accordingly for better decision making in the future. Supervised learning is best for use if you want a system that will make a prediction. This will include aspects such as temperature prediction, predict the stock market, or distinguish a car model from a group of different models. This learning algorithm uses information that is not classified or labeled to train the system. Rather than predicting the right output, it explores the data and draws any interferences. It is then able to describe any hidden structures from the unlabeled data. Unsupervised learning applies better if want to explore available data with the aim of training a model to identify the best possible internal representation. You can split data into clusters so the system understands where to recognize it from with ease. Choosing which type of learning algorithm is best is dependent on some factors. However, it is not a guarantee that by simply weighing the benefits that there is one right algorithm. This is due to the vast sources of data and information. Depending on the size and type of data you are working with, you will be able to narrow down your search. With different supervised and unsupervised learning algorithms, the best option is to test and try out any system you chose first before putting it to use. Machine learning is becoming useful in different fields helping individuals as well as companies to promote accuracy of tasks without dictating what is expected. With vast information of videos, images, and texts available, machine learning is becoming a huge success. In addition, the ability to customize these algorithms is pushing companies to embrace the technology.